Colourful fabrics, prints, objet d'art & quirky fittings give this British gastropub a warm feel. Nestled on a quaint back street, award-winning The Builders Arms presents exciting British delicacies in this homely gastro pub. Trendy pavement dining lets guests relax outdoors, or the expansive bar serves jazzy cocktails. A contemporary take on British comfort food, The Builders Arms menu crafts time-honoured classics alongside refined combinations. Gourmet flavours include summery spring green and Cornish Blue risotto, or succulent marmalade-glazed duck leg with rhubarb puree. Inventive desserts include crunchy cornflake and honey ice cream, or a light lemon and sultana cheesecake. 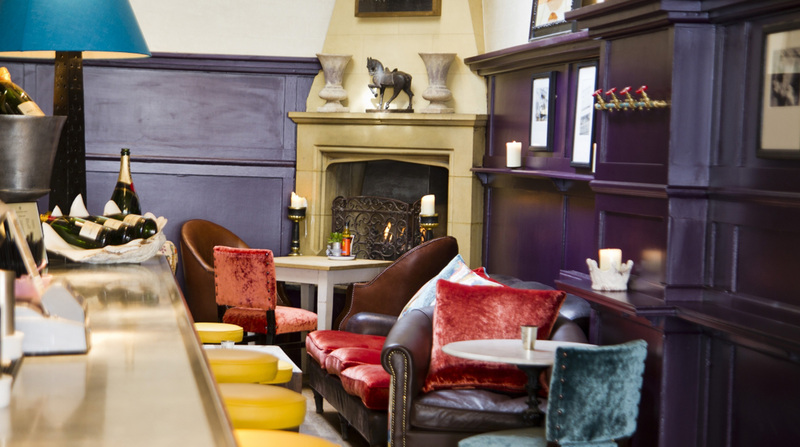 Eclectic interior design makes for a trendy vibe at The Builders Arms restaurant. Plush seating and neutral tones are blended with retro trinkets and jazzy splashes of colour. 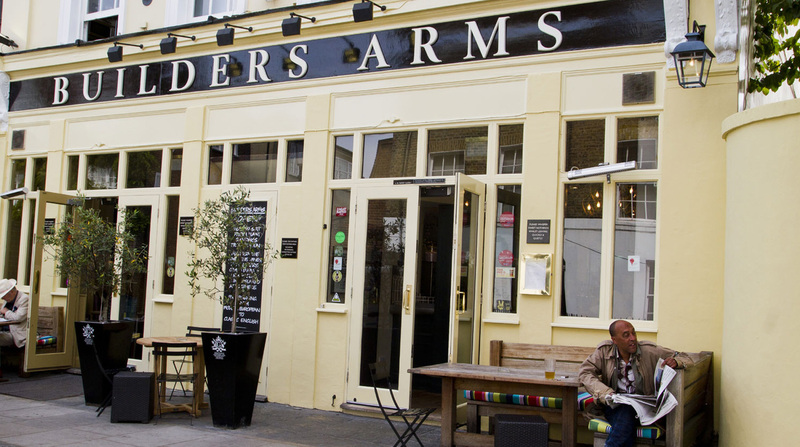 The Builders Arms London offers a laidback setting for enjoying a refreshing cocktail, or a smooth glass of wine.